Amazon, Google and Microsoft have launched efforts to secure their respective cloud services and products amid the discovery of security vulnerabilities in various computer chips, CNBC reported Wednesday. 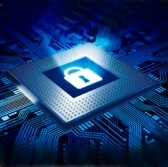 A report from the Register revealed that vulnerabilities affecting various processors could allow hackers to steal information from devices that run those chips, such as computers and data center servers. A Microsoft spokesperson told CNBC that the company is working with chip manufacturers to develop mitigations for cloud services as well as issue security updates designed to protect Windows users. Intel CEO Brian Krzanich said that Google was the first company to warn the processor manufacturer about the vulnerabilities and he has yet to receive reports that the security flaws have been exploited. Google updated its public cloud service to mitigate attacks related to the newly-discovered vulnerabilities but users will also need to update their operating systems. Amazon told clients that the security issues have been around for more than 20 years in modern processor systems such as those made by Intel, AMD and ARM. The company added that it has secured nearly all cloud instances of its Amazon Web Services arm.